Githui SN, Chege M, Wagoro MCA, Mwaura J. "Barriers to Screening Pregnant Women for Domestic Violence: A Cross- Sectional Study." Journal of Community and Public Health Nursing.Comm Pub Health Nurs 2018. 2018;4(10.4172/2471-9846.1000207). Bulinda DM. "Basics of Educational Administration ." Lambart Academic Publishing. 2018. Lengai G, Muthomi J. "Biopesticides and Their Role in Sustainable Agricultural Production." Journal of Biosciences and Medicines. 2018;6:7-41. Angeline Anyona Aywak1*, Timothy Musila Mutala1, Purity Ndaiga1, Callen Onyambu1, Raza2 S. "Breast Cancer Prevalence Among Patients Referred for Ultrasound-Guided Biopsy at Kenyatta National Hospital, Kenya." The Journal of Global Radiology. 2018;4(1):1-7. AA A, TM M, P N, C O, S. R. "Breast Cancer Prevalence Among Patients Referred for Ultrasound-Guided Biopsy at Kenyatta National Hospital, Kenya." J Glob Radiol. 2018;4((1)):10.7191/jgr.2018.1037. Macharia LW, MW MUREITHI, Anzala O. Burden of cancer in Kenya: types, infection-attributable and trends. A national referral hospital retrospective surveyAAS Open Research. Vol 1. . .; 2018. Diarrhoea is a major cause of child mortality. Although oral rehydration solution (ORS) is an efficacious intervention for correcting dehydration, inadequate monitoring may limit its effectiveness in routine settings. We evaluated the effect of using a caregiver-administered chart to monitor oral fluid therapy on hydration status among children with some dehydration. Kirui GK, Saifuddin Fidahussein Dossaji, Amugune NO. "Changes in Phytochemical Content During Different Growth Stages in Tubers of Five Varieties of Potato (Solanum Tuberosum L.)." Current Research in Nutrition and Food Science Journal. 2018;6(1):12-22. Osiro O, Kariuki DK, Gathece L, Brauer D. "Characterization Of Experimental Dental Cements Derived From Locally Available Aluminosilicate Materials In Kenya. "; 2018.
and Makokha W.J KMDKP. "Characterization of Kenyan Ceramics for Production of Medium Duty Alumina Firebricks for Incinerator Lining.". 2018. Tropical montane forests are amongst the most threatened ecosystems by climate change. However, little is known about climatic changes already observed in these montane areas in Africa, or the adaptation strategies used by pastoralist communities. This article, focused on three mountains in northern Kenya, aims to fill these knowledge gaps. Focus-group discussions with village elders were organized in 10 villages on each mountain (n = 30). Villages covered different pastoralist ethnic groups. Historical data on rainfall, temperature and fog were gathered from Marsabit Meteorological station. All participants reported changes in the amount and distribution of rainfall, fog, temperature and wind for the past 20–30 years; regardless of the mountain or ethnicity. They particularly highlighted the reduction in fog. Meteorological evidence on rainfall, temperature and fog agreed with local perceptions; particularly important was a 60% reduction in hours of fog per year since 1981. Starting farming and shifting to camel herding were the adaptive strategies most commonly mentioned. Some adaptive strategies were only mentioned in one mountain or by one ethnic group (e.g. starting the cultivation of khat). We highlight the potential use of local communities’ perceptions to complement climatic records in data-deficient areas, such as many tropical mountains, and emphasize the need for more research focused on the adaptation strategies used by pastoralists. "Climate Change Challenges and Food Production in Elwak South Madera County, Kenya." International Journal of Innovative Research & Development (IJIRD). 2018;Vol. 7(Issue 7):379-387. 2030, 2050 and 2070 benchmarks. Analysis of the projected rainfall indicated a decreasing trend in rainfall leading up to 2030 followed by an increase in rainfall with the 2050 and 2070 scenarios. In the case of temperature, the projections from all the models showed increase in minimum and maximum temperatures in all seasons and sub periods, like being observed by temperature projection over other parts of the world. The 2030, 2050 and 2070 projected rainfall and temperature change scenarios show that Somalia future development and livelihoods will in future face increased threats of climate extremes unless effective climate smart adaptation systems form integral components of national development strategies. F M, JJ C. "Clinical Learning Experiences: A study among Undergraduate Nursing Students, Kenya." Nursing Research and Practice Journal. 2018. The co-evolution and co-movement of financial time series are of utmost importance in contemporary finance, especially when considering the joint behaviour of asset price realizations. The ability to model interdependencies and volatility spill-over effects introduces interesting dimensions in finance. This paper explores co-integrating relationships between crude oil and distillate fuel prices. Existence of multivariate co-integrating relations and bidirectional Granger-Causality is established among the series. It is also established that even after fitting a full VECM, the residuals are not necessarily multivariate normal suggesting the noise could as well be multivariate GARCH. Yuga ME, Kimani, P.M; Kimani JM, Kimani PM, Olubayo MF, Muthomi JW, Nzuve FM. "Combining Ability and Heterosis for Agronomic and Yield Traits in Indica and Japonica Rice Crosses." Journal of Agricultural Science . 2018;10(12):92-103. Rono S, Nzuve F, Muthomi J, Kimani J. "Combining Ability of Agronomic and Yield Traits in Rice Genotypes." Journal of Plant Physiology & Pathology. 2018;6:2. Baariu JGVLM &. "Competitive Strategies, Entrepreneurial Orientation, External Environment and Performance of Small and Medium Enterprises in the Manufacturing Sector in Kenya." A Critical Literature Review. Journal of Arts & Humanities . 2018;7(9):22-33. Kambura C, Tanga CM, Kilalo D, Muthomi J, Salifu D, Rwomushana I, Mohamed SA, Ekesi S. "Composition, Host Range and Host Suitability of Vegetable-Infesting Tephritids on Cucurbits Cultivated in Kenya." African Entomology. 2018;26(2):379-397. Rukwaro P. "Conservation of Natural and Cultural Heritage in Kenya." www.ucl.ac.uk/ucl-press; 2018. Kunyanga Catherine. N., Amimo JKLC'wa GN. "Consumer Risk Exposure to Chemical and Microbial Hazards through Consumption of Fruits and Vegetables in Kenya. ." Journal of Food Science and Quality Management. 2018;78:59-69. Quinlan MM, Birungi J, Coulibaly MB, Diabaté A, Facchinelli L, Wolfgang Richard Mukabana, M J. "Containment studies of transgenic mosquitoes in disease endemic countries: The broad concept of facilities readiness." Vector-Borne and Zoonotic Diseases. 2018;18(1):14-20. John Mwangi Prisca Mary Oluoch PAO. "Content of Vignettes and Ethical Decision Making Among Business Education Students at the University of Nairobi, Kenya." International Journal of Learning, Teaching and Educational Research. 2018;17(11). Ochichi PB, Muthomi JW, WAGACHA JOHNMAINA. "Contribution of Seed Quality to the Occurrence of Fungal and Bacterial Diseases of Farmer Produced Common Bean in Varied Agro-Climatic Zones of Western Kenya." American Journal of Agricultural Science. 2018;5(2):19-27. E.N GNJM &. "Corporate Entrepreneurship, Strategic Management, External Environment and Performance of Insurance Companies in Nairobi Kenya." IJRDO- Journal of Business Management. 2018;4(11):10-25. Sungura R, Onyambu C, Mathenge I. "The CT Angiographic Prevalence of Renal Accessory Arteries in Kenya." International Journal of Current Microbiology and Applied Sciences. 2018;7(1): 2745-2754.
and Karibe Wilson KCIJ. "Current status and utilization of beef slaughter by-product by the pastoral communities in Kenya: the case of bovine tripe." Journal of Advances in Food Science & Technology. 2018;5(2):48-57. Chanzu, Oliver. KCIJKWNK. "Current Status of Pre-slaughter, Slaughtering and Post-slaughter Practices of Fresh Beef in Pastoral Areas of Kenya." Journal of Food Science and Quality Management;. 2018;78:17-22. Chepchirchir A, Joshua Nyagol, Jaoko W. "Cytokine expression and hypertension comobirdity in HIV/AIDS patients at Kenyatta National Hospital HIV Care Centre, Nairobi, Kenya." Int J of Cardiovasc Res. 2018;7(1):1-7. Nyaboke HO, Moraa M, Omosa LK, Mbaveng AT, Vaderament-Alexe N-N, Masila V, Okemwa E, Heydenreich M, Efferth T, Kuete V. "Cytotoxicity of Lupeol from the Stem Bark of Zanthoxylum gilletii against Multi-factorial Drug Resistant Cancer Cell Lines ." Investigational Medicinal Chemistry & Pharmacology . 2018;1(1):10. Mutekhele, B; Rambo ONCM; O;. "Data Dissemination and Use and Performance of Educational Building Infrastructural Projects: A Case of Bungoma County, Kenya." International Journal of Science and Research (IJSR) . 2018;7(10). Beverage fraud involving counterfeiting of brand spirits is an increasing problem not only due to deception of the consumer but also because it poses health risks e.g. from possible methanol admixture. Suspicious spirit samples from Russia and Kenya were analysed using 1H nuclear magnetic resonance (NMR) spectroscopy in comparison to authentic products. Using linear regression analysis of spectral integral values, 4 counterfeited samples from Russia and 2 from Kenya were easily identifiable with R2 < 0.7. Sensory analysis using triangle test methodology confirmed significant taste differences between counterfeited and authentic samples but the assessors were unable to correctly identify the counterfeited product in the majority of cases. An important conclusion is that consumers cannot assumed to be self-responsible when consuming counterfeit alcohol because there is no general ability to organoleptically detect counterfeit alcohol. Beverage fraud involving counterfeiting of brand spirits is an increasing problem not only due to deception of the consumer but also because it poses health risks e.g. from possible methanol admixture. Suspicious spirit samples from Russia and Kenya were analysed using 1H nuclear magnetic resonance (NMR) spectroscopy in comparison to authentic products. Using linear regression analysis of spectral integral values, 4 counterfeited samples from Russia and 2 from Kenya were easily identifiable with R2 < 0.7. Sensory analysis using triangle test methodology confirmed significant taste differences between counterfeited and authentic samples but the assessors were unable to correctly identify the counterfeited product in the majority of cases. An important conclusion is that consumers cannot assumed to be self-responsible when consuming counterfeit alcohol because there is no general ability to organoleptically detect counterfeit alcohol. N M, S S, O O, D M, L N, Gachago MM. "Developing a sustainable and scalable control programme for Retinopathy of Prematurity in Kenya: A health system perspective." JOECSA. 2018;22(1):31-34. Chikondi Memory Liomba, Catherine Nkirote Kunyanga AA. "Development of Multimix Composite Flour as Complementary Food for Infants in Malawi. ." International Journal of Food and Nutrition Research. 2018;(2):11. J K, P N, Ndegwa P, L I, J I, B BO, C. A. "Discovery of Phlebotomus Species of Sand Flies in Mwea Irrigation Scheme, Kirinyaga County, Kenya: A Possible Leishmaniases focus. ." Annals of Clinical Cytology and Pathology . 2018;4(3):1103-1107. Ong’amo GO, Pallangyo B, Ali A, Njaku M, LeRu BP. "Diversity and abundance of lepidopteran stem borers and their respective native hosts in different vegetation mosaics in Tanzania." African Entomology. 2018;26(1):50-62. Dancan K, Ong’amo GO, Ndegwa PN. "Diversity and distribution of immature vectors of malaria and rift valley fever in habitats along an altitudinal gradient in Barigo, Kenya. ." Bonorowo Wetlands . 2018;8(1):25-31. JJ C, G O, W M. "Do men have a role in birth preparedness? A study among women attending antenatal clinics in Migori County, Kenya." Journal of Midwifery and Reproductive Health . 2018. Kariuki DK. "Doctoral Training in Inorganic Chemistry for Technological Innovations and Socio-Economic Development. "; 2018. The objective of the study was to determine the influence of ingratiation on employees’ career mobility. The study used a descriptive survey and a population study of 169 employees with a response rate of 122(72.2%). This is considered sufficient as recommended by experts (Mugenda and Mugenda, 2009). Primary data was collected using self-administered structured questionnaires. Descriptive statistics was used to analyse the data and the hypothesis formulated was analysed using linear regression analysis. The results confirmed the hypothesis thatingratiation influences career mobility (R2=.944, F=2011.237, P≤0.05). The correlation coefficient for the model was 0.971 which also confirms that there is a strong relationship between ingratiation and career mobility. The study recommends that objective means of performance appraisals be established and followed by superiors to ensure fair and credible ways of career mobility to its employees. The paper suggests if the same study can be replicated in other organizations using a longitudinal research design. East African landscapes today are the result of the cumulative effects of climate and land-use change over millennial timescales. In this review, we compile archaeological and palaeoenvironmental data from East Africa to document land-cover change, and environmental, subsistence and land-use transitions, over the past 6000 years. Throughout East Africa there have been a series of relatively rapid and high-magnitude environmental shifts characterised by changing hydrological budgets during the mid- to late Holocene. For example, pronounced environmental shifts that manifested as a marked change in the rainfall amount or seasonality and subsequent hydrological budget throughout East Africa occurred around 4000, 800 and 300 radiocarbon years before present (yr BP). The past 6000 years have also seen numerous shifts in human interactions with East African ecologies. From the mid-Holocene, land use has both diversified and increased exponentially, this has been associated with the arrival of new subsistence systems, crops, migrants and technologies, all giving rise to a sequence of significant phases of land-cover change. The first large-scale human influences began to occur around 4000 yr BP, associated with the introduction of domesticated livestock and the expansion of pastoral communities. The first widespread and intensive forest clearances were associated with the arrival of iron-using early farming communities around 2500 yr BP, particularly in productive and easily-cleared mid-altitudinal areas. Extensive and pervasive land-cover change has been associated with population growth, immigration and movement of people. The expansion of trading routes between the interior and the coast, starting around 1300 years ago and intensifying in the eighteenth and nineteenth centuries CE, was one such process. These caravan routes possibly acted as conduits for spreading New World crops such as maize (Zea mays), tobacco (Nicotiana spp.) and tomatoes (Solanum lycopersicum), although the processes and timings of their introductions remains poorly documented. The introduction of southeast Asian domesticates, especially banana (Musa spp. ), rice (Oryza spp. ), taro (Colocasia esculenta), and chicken (Gallus gallus), via transoceanic biological transfers around and across the Indian Ocean, from at least around 1300 yr BP, and potentially significantly earlier, also had profound social and ecological consequences across parts of the region. Through an interdisciplinary synthesis of information and metadatasets, we explore the different drivers and directions of changes in land-cover, and the associated environmental histories and interactions with various cultures, technologies, and subsistence strategies through time and across space in East Africa. This review suggests topics for targeted future research that focus on areas and/or time periods where our understanding of the interactions between people, the environment and land-cover change are most contentious and/or poorly resolved. The review also offers a perspective on how knowledge of regional land-use change can be used to inform and provide perspectives on contemporary issues such as climate and ecosystem change models, conservation strategies, and the achievement of nature-based solutions for development purposes. Mewa E. A, Okoth M. W KRCNMN. "Drying Modelling, Moisture Diffusivity and Sensory quality of Thin Layer dried Beef." Current Research in Nutrition and Food Science. 2018;6(2):552-565. FA F, J K, CF O, A W, S N. "Dysglycaemia among kidney transplant recipients at a national referral hospital in Kenya." Journal of Kenya Association of Physicians. 2018;1(1). and Rukwaro DJMPRW. "Economics of Urban Space: Are the Street Vendors in Nairobi City Spared?". 2018. Mewa, Eunice. A. OMKCRWNMN. "Effect of drying air temperature and slice thickness on the physical and microbiological quality of dried beef." LWT - Food Science and Technology. 2018;92:484-489. Wanzala W, HASSANALI A, Mukabana WR, Takken W. "The effect of essential oils of Tagetes minuta and Tithonia diversifolia on on-host behaviour of the brown ear tick Rhipicephalus appendiculatus." Development. 2018;30:6. Ndombi EM, Abudho B, Kittur N, Carter JM, Korir H, Riner DK, Ochanda H, Lee Y‐M, S EW. "Effect of four rounds of annual school‐wide mass praziquantel treatment for schistosoma mansoni control on schistosome‐specific immune responses." Parasite Immunology. 2018:e12530. Pierre HJM, Kinama JM, Olubayo FM, Wanderi SW, Muthomi JW, Nzuve FM. "Effect of Intercropping Maize and Promiscuous Soybean on Growth and Yield. ." Journal of Experimental Agriculture International. 2018;12(2):1-21. Pierre HJM, Kinama JM, Olubayo FM, Olubayo FM. "Effect of Intercropping Maize-Soybean on Grain Quality Traits in Kenya." Journal of Agricultural Science. 2018;10(2):341-351. Mwangi JT. "Effect of Nature of Chemistry Practicals on Students' Performance in Chemistry in Public Secondary Schools of Machakos and Nairobi Counties in Kenya." International Journal of Science and Research (IJSR). 2018;7(8):1115-1118 . Mwangi JT. "Effect of Quality of Chemistry Practical Work on Students’ Performance in Chemistry in Public Secondary Schools of Machakos and Nairobi Counties in Kenya." International Journal of Science and Research (IJSR). 2018;7(9):362-365 . Buyela SN, Muthomi JW, Mwang’ombe AW, Njau P, Olubayo F. "Effect of Seed Treatment on Wheat Seed Viability and Vigour." American Journal of Agricultural Science. 2018;5(1):1-9. Mdenye BB, Kinama JM, Olubayo FM'mogi, Kivuva BM, Muthomi JW. "Effect of storage methods of cassava planting materials on establishment and early growth vigour." International Journal of Agronomy and Agricultural Research (IJAAR) . 2018;12(1):1-10. 6. Muriithi EM. "Effect of teacher characteristics on learner academic achievement in physics in Kenyan secondary schools." International Journal of Education and Research. 2018;6(3):169-178. C. R;. "Effect of the National Cash Transfer Programme for Older Persons on Access to Basic Livelihoods: A Comparative Analysis of Beneficiaries and Non-Beneficiaries in Siaya County, Kenya." European Journal of Business, Economics and Accountancy . 2018;6(5). JJ C, G O, W M. "Effectiveness of Mobile Phone Text Message Reminder on Birth Preparedness in a Rural Community in Kenya." Obstetrics and Gynaecology International Journal. 2018. Khalid JGBM &. "Effects of Entrepreneurial Behavior, Social and Economic Institutions on the Performance of Micro and Small Enterprises in the Livestock Sector in North Eastern Kenya." International Journal of Humanities and Social Science Review . 2018;3(7). Ogumo EO, Kunyanga CN KJWOMW. "Effects of Harvest Time and Duration before Cooling on the Post-Harvest Quality and Shelf-life Stability of French Bean (Phaseolus vulgaris L.). ." Journal Nutrition Food Science. 2018;8:730. Josyline K, Philip N, Lucy I, Paul N, Johnstone I, Reuben R, Osero B, Chritopher A. "Effects of Lambdacyhalothrin incorporated into 1,4-Dichlorobenzene on sand fly and mosquito vectors in endemic areas of Kenya. ." Journal of Zoological Research . 2018;2(1):1-6. Kimata D. "Effects of rearing methods and hormones on growth and reproduction in the helmeted guinea fowl-numida meleagris.". 2018. Kalai KPMJ& M. "Effects of Teachers’ Participation in Management of Physical and Material Resources on their motivation, Kenya." European Scientific Journal (ESJ). 2018;14:284. Kingi P.M., J.M. K. "Effects of teachers’ participation in management on physical and material resources on their motivation in Kenya." European Scientific Journal. 2018;14(10). Kingi, P. M. "Effects of Teachers’ Participation in School Community Partnership and Motivation." IOSR Journal of Humanities and Social Science (IOSR-JHSS. 2018;7(4):48-55. Kabiru JG. "The effects of the terms of employment on workers’ livelihood in the cut flower industry in Kenya." Joseph G. Kabiru. 2018;5(2313-3759):35-44.
and 20. Prisca Oluoch, John Mwangi POCO. "Effects of Vignettes Types in Enhancing Ethical Decision among Business Education Students.". 2018. Miruka AC, Kariuki DK, Yusuf AO, Onyatta JO. "Efficiency of a Wastewater Treatment Plant in the City of Nairobi." International Journal of Sciences: Basic and Applied Research (IJSBAR). 2018;38(1):152-162.
photoelectrodes to achieve higher conversion efficiencies. and Joseph Kabiru PMEMN. "Emerging conditions of labour in the cut flower industry in Kenya." International Jounal of Education and Research. 2018;6(2411-5681):1-12. S. Awino, Modisa Afullo A. Empirical Identiﬁcation of Narrowband Interference in Broadband PLC Networks at the Receiver . Toyama: PIERS Toyama; 2018. The objective of the study is to determine the effect of job tenure on employees’ career mobility. The study used a descriptive survey and a population study of 169 employees with a response rate of 122(72.2%). Primary data was collected using self-administered structured questionnaires. Descriptive statistics was used to analyze the data and the hypothesis formulated was analyzed using linear regression analysis. The results confirmed the hypothesis that job tenure influences employee career mobility (R2=.141, F=19.77, P≤0.05). The correlation coefficient for the model was 0.376 which also confirms that there is a positive but weak relationship between length of service and career mobility. The study recommends that employees who have served and organization for long should be considered for promotion this brings about employees loyalty and commitment to the organization. The paper suggests that other variables can be added in terms of moderating and mediating variables to strengthen the model. and Onyango C.M., Kunyanga Catherine N. WKMIRGDN. "Employer Perceptions and Attitudes towards Agricultural University Training in Kenya." International Journal for Innovation Education and Research. 2018;6:175-185.
iJames M. Gathungu BS& M. "Entrepreneur Financial Literacy, Financial Access, Transaction Costs and Performance of Microenterprises in Nairobi City County in Kenya." Global Journal of Management and Business Research: An Administration and Management. 2018;18(6). Kiwara JGGM &. "Entrepreneurial Orientation, Organization Resources, External Environment and Firm Performance of Small Dairies in Kaimbu County in Kenya." International Journal of Creative Research and Studies . 2018;2(2). Kithusi JGANM &. "Entrepreneurial Strategy, Firm Resources, External Environment and Performance of Micro, Small and Medium Furniture Manufacturing Firms in Kenya." International Journal for Advanced Research and Novelty . 2018;4(7). Maweu JM. "Equality, Difference and the Complementarity of African and Western Philosophy.". In: Thinking Polyloguous: Considerations Concerning An Intercultural-Philosophical Minimal Rule. Vienna: Polylog; 2018. Wanzala W, Hassanali A, Wolfgang Richard Mukabana, Takken W. "Essential oils of indigenous plants protect livestock from infestations of Rhipicephalus appendiculatus and other tick species in herds grazing in natural pastures in western Kenya." Journal of pest science. 2018;91(1):395-404. Kyama MC, Waweru W, Mungania M, Joshua Nyagol. "Evaluation of human epidermal growth factor receptor-2 and hormonal receptor expression patterns in breast cancer from fine needle aspiration cytology." JMSCR. 2018;6(7):675-683. Musungayi EM, Ngugi K, Ngugi K, Muthomi JW, Were VW, Olubayo FM, Nzuve FM. "Evaluation of resistance of cassava half-sib progenies to cassava mosaic disease and their agronomic performances in Western Kenya." Journal of Agricultural Science. 2018;10(12):78-91. Shihembetsa DLU. "Examining Contemporary Housing for the Urban Poor: The case of Pumwani Housing.	." International Journal of Creative Research and Studies (IJCRS).. 2018;Volume-2,(Issue-9, September):201 (1-23). ISSN 0249-4655. Bulinda, D. M. MJW. "Extent to which system migration influence the implementation of core banking systems project: A case of NIC Bank Kenya LTD." International Journal of Innovative Research and Knowledge. 2018;3(10):156-166. Course Assessment and Institutional factors. JJ C, G O, W M. "Factors affecting Birth Preparedness among Pregnant Women attending Public Antenatal Clinics in Migori County, Kenya." Biomedical Journal of Scientific and Technical Research. 2018. Kirea P, Irene GM, Joyce JC. "Factors contributing to sexual assault in children 1–13 years admitted at Nairobi women's hospital, Nairobi, Kenya." International Journal of Nursing Care. 2018;6(2):5-9. Background: The annual global burden of stillbirths is approximately 2.6 million, 98% of which occur in Sub Saharan Africa, (WHO, 2015). In 2016, approximately 24 still births per month occurred in Mbagathi County Hospital (MCH) representing a 33.3% increase from 2015. A third of these were Fresh Still Births (FSBs) - (Mbagathi reproductive health report 2015/2016). Objectives: To establish factors influencing increase in FSB among women delivering at MCH. Methodology: The study was conducted at MCH postnatal ward. A descriptive cross sectional study design was employed. Forty three respondents with FSBs were consecutively sampled. Clearance to conduct the study was sought from Ethics Review Committee, MCH and respondents. Researcher administered questionnaires were used for data collection over two months. Descriptive data involved calculation of measures of central tendency. Findings were presented in tables, graphs and narrative. Results: Majority of the respondents were less than 20 years old, had low education level and were unemployed. Majority had preterm deliveries; prolonged premature rupture of membranes had medical conditions and attended ANC less than four times. Majority of the FSBs had complications and were delivered preterm. The facility had inadequate staffing, lacked prompt triaging equipment, and rarely used partograph to monitor labor. Conclusion: Maternal, fetal and hospital related factors influenced high prevalence of FSB. Recommendations: Improving uptake of focused antenatal care among women. Girl child empowerment in line with Sustainable Development Goal 5. Improve staffing ratios, develop protocol regarding triaging and labor monitoring. Availing hospital equipment for proper maternity care. Key words: Fresh still births, developing countries, risk factors, perinatal mortality. Background: Male participation is a crucial component in the optimization of antenatal care services. Level of male participation has been found to be low. This study aimed to identify determinants of male partners’ involvement in antenatal care services. Methods: A descriptive cross-sectional study was used. The study population included expectant women and available male partners at the antenatal clinic at Kenyatta National Hospital. A sample of 79 respondents was recruited into the study. Consecutive sampling was used to select the study participants. Data was collected using a semi structured questionnaire, analyzed using SPSS computer package version 20 and thereafter presented using descriptive methods. Findings: Majority of participants (90%) were aged above 25 years, were more educated and had non-formal sources of employment. They knew at least 50% of the services offered and had a positive attitude towards ANC. Majority of participants (54%) stated that ANC is traditionally for women. Majority (77%) stated that the members of staff at ANC clinic are friendly and approachable. Conclusions: Cultural beliefs and practices still hinder men’s participation as communities continue to uphold patriarchal tendencies that disregard women. Men’s attitude also determined their participation. Adaka V, Mugambi DM. "FACTORS INFLUENCING SUSTAINABILITY OF COMMUNITY MANAGED RURAL WATER SUPPLY PROJECTS IN PASTORALIST AREAS OF KENYA. A CASE OF MERTI SUB COUNTY, ISIOLO COUNTY." Developing Country Studies. 2018;3(1):16-40. Essaji LT, Odhiambo J, Oyoo GO. "Fever of unknown origin: A rheumatologic perspective." African Journal of Rheumatology. 2018;6(1):26-28. Mulwa M, Samuel Ngigi. Financial Inclusion through Mobile Money. The M-ASCA Model in Kenya. Nairobi: University of Nairobi; 2018. Kanyinga K. Fiscal Stability Conference. Lagos, Nigeria; 2018. Wahome R, Thenya T, Vindelov V, Emborg J. Forest Resources Utilization, Livelihoods and Conflicts: Synthesis of research under the “Stabilizing Kenya Through Solving Forest Related Conflicts project” (STAKE) 2012-2016. Saarbrücken, Germany: Lambert Academic publishers; 2018. Okoth S, Marthe De Boevre, Arnau Vidal, José Diana Di Mavungu, Sofie Landschoot, Martina Kyallo, Joyce Njuguna, Jagger Harvey, Saeger SD. "Genetic and toxigenic variability within Aspergillus flavus population isolated from maize in two diverse environments in Kenya." Frontiers in microbiology. 2018;9(Frontiers in microbiology):57. W M. "Hate Online: The Case of Electioneering in Kenya.". 2018. Kahiga RM. "Health, well-being and welfare in childhood in Kenya." Bloomsbury Education and Childhood Studies.. 2018. "A Historical perspective, Skill development in the informal sector in Kenya: Policy gaps, Challenges 9 and the Way Forward, ." Journal of Education and Practice,. 2018. Background: In Kenya, there is limited empirical data on effects of seroconversion in pregnancy and child birth due to low uptake of HIV retesting despite there being a policy directive to do so. Objectives: To determine the effect of seroconversion in late pregnancy regarding pregnancy and childbirth among women seeking delivery services in Kakamega County Hospital and Pumwani Maternity Hospital. Methodology: A ten month quasi experimental longitudinal study design was employed whereby 1,156 respondents consecutively sampled. Results: HIV seroconverters had a higher chance of developing premature rupture of membranes, hemorrhage and puerperal sepsis than HIV negative women. The incidence of Mother to Child Transmission of HIV among exposed newborns was 0.09%. There was a statistically significant relationship between PEP administration, infant morbidity and mortality. Conclusion: HIV seroconversion was associated with complications during delivery. Recommendations: There’s need to intensify retesting in late pregnancy as well as skilled birth attendance among the women seroconverting in late pregnancy. Background: There is limited empirical data on the prevalence of Human Immunodeficiency Virus (HIV) seroconversion in late pregnancy due to the fact that majority of the women start seeking antenatal care late in pregnancy therefore rarely retest. This leaves a gap in the Elimination of Mother to Child Transmission (eMTCT) strategy thus contributing to high maternal and neonatal morbidity and mortality rates in Kenya. Objectives: To establish the rate of HIV retesting uptake in late pregnancy and HIV seroconversion rate among women attending Antenatal Clinics in Pumwani Maternity Hospital and Kakamega County Hospital. Methodology: A longitudinal study design was employed; 1,117 women confirmed as HIV negative in early pregnancy were followed up for three months and retested to ascertain their serostatus. Sample size was obtained through Census and consecutive sampling to recruit individual respondents. Clearance to conduct the study was sought from Ethics Review Committee, Pumwani and Kakamega County Hospitals and the respondents. Researcher administered questionnaires and HIV testing was done for data collection. Descriptive data involved calculation of measures of central tendency. Findings were presented in tables, graphs and narrative. Results: HIV retesting uptake was 1,073 (96%) and the rate of HIV serocopositivity among initially HIV negative pregnant women that retested was 8 (0.75%). Conclusion: HIV retesting uptake is very impressive and the rate of HIV seroconversion is very low. Kenya has made good progress towards eMTCT of HIV. Bulinda DM. Human Resource Planning and organizational performance in Education. Lambert Academic Publishing; 2018. The 2015/2016 El Niño has been classified as one of the three most severe on record. El Niño teleconnections are commonly associated with droughts in southern Africa and high precipitation in eastern Africa. Despite their relatively frequent occurrence, evidence for their hydrological effects and impacts beyond agriculture is limited. We examine the hydrological response and impact pathways of the 2015/2016 El Niño in eastern and southern Africa, focusing on Botswana, Kenya, and Zambia. We use in situ and remotely sensed time series of precipitation, river flow, and lake levels complemented by qualitative insights from interviews with key organizations in each country about awareness, impacts, and responses. Our results show that drought conditions prevailed in large parts of southern Africa, reducing runoff and contributing to unusually low lake levels in Botswana and Zambia. Key informants characterized this El Niño through record high temperatures and water supply disruption in Botswana and through hydroelectric load shedding in Zambia. Warnings of flood risk in Kenya were pronounced, but the El Niño teleconnection did not materialize as expected in 2015/2016. Extreme precipitation was limited and caused localized impacts. The hydrological impacts in southern Africa were severe and complex, strongly exacerbated by dry antecedent conditions, recent changes in exposure and sensitivity and management decisions. Improved understanding of hydrological responses and the complexity of differing impact pathways can support design of more adaptive, region‐specific management strategies. Awori MN. 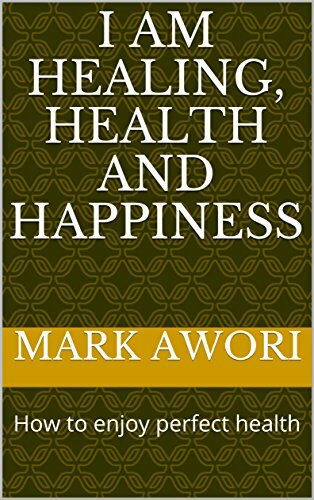 I AM-healing health and happiness. USA: Kindle direct publish; 2018. Joag V, Obila O, Gajer P, Scott M, Dizzell S, Humphrys M, Shahabi K, Huibner S, Shannon B, Tharao W, MW MUREITHI, Julius Oyugi,, J.N Kiiru, et al. Impact of bacterial vaginosis treatment on ex vivo HIV susceptibility in the female genital tract.Journal of Allergy and Clinical Immunology. ; 2018. AC Guzha, Rufino MC, Okoth S, S Jacobs, Nóbrega RLB. "Impacts of land use and land cover change on surface runoff, discharge and low flows: Evidence from East Africa." Journal of Hydrology: Regional Studies. 2018;15:49-67. Matiang’i M, Kibwage I, Ngatia P, Omoni G, Kiarie J, Bosire K, Inyama H, Muiruri F. "Improving access to Higher education for front-line health professionals in Kenya through Blended eLearning ." African Journal of Midwifery and Women’s health. 2018;12(2). Udomkun P, Wossen T, Nabahungu NL, Mutegi C, Vanlauwe B, Ranajit Bandyopadhyay. "Incidence and farmers’ knowledge of aflatoxin contamination and control in Eastern Democratic Republic of Congo." Food Science & Nutrition. 2018. Mutiso SK, Mulwa, J.K. "Influence of the Grade Achieved in Agriculture at Kenya Certificate of Secondary Education Examination on Performance in Farming in Kenya." International Journal of Innovative Research & Development (IJIRD). 2018;Vol 7(Issue 7):412-442. AWUOR OGACHOALEX, JOHN ONYATTA, Marina M, Domtau DL, OKOTH OBILAJORIM. "INFLUENCE OF ANNEALING TEMPERATURE ON SOME OPTICAL AND STRUCTURAL PROPERTIES OF Cu2ZnSnS4 DEPOSITED BY CZT CO-ELECTRODEPOSITION COUPLED WITH CHEMICAL BATH TECHNIQUE ." World Scientific. 2018;Volume 25(Issue 03). C.M K; R;I &. "Influence of Cash Transfer Programme on Orphans and Vulnerable Children’s Access to Secondary School Education: A Case of Embu West Sub-County, Embu County, Kenya. ." European Journal of Research and Reflection in Educational Sciences . 2018;5(4). and Mbuva, P.M.; Rambo OCM; T. "Influence of Control Environment on Performance of SME Projects in Machakos County, Kenya. ." International of Economics, Commerce and Management. 2018;6(9). of Facebook, its use in education and how its pedagogical interactions affect learning outcome. learners, teachers and policy makers should accept Facebook as a pedagogical interaction tool. Keywords: Pedagogical interaction, Facebook, Learning outcome. There is high infiltration of Online Social Networking Platforms in learning institutions in Kenya yet there is dearth of information on how these platforms affect learning outcome. This paper was a systematic desk literature review. The purpose was to establish how leveraging on pedagogical interactions through Facebook affect learning outcome. The reviewers focused on the development of Facebook, its use in education and how its pedagogical interactions affect learning outcome.Articles published in high impact journals including “grey literature” were desk reviewed. The review showed that Facebook has been used by learners mostly for social interactions and not for pedagogical interactions and its use can boast learning outcome. The researcher recommends that learners, teachers and policy makers should accept Facebook as a pedagogical interaction tool. and Sakwa, R.F.E; Rambo OCMJA. "Influence of Financing Promotion Activities As a Component of Sanitation Financing Program on Community Livelihood in Urban Informal Settlement of Obunga, Kisumu County, Kenya." International Journal of Innovative Science and Research Technology,. 2018;3(8). Sakwa R.F.E; Rambo, C.M and Osogo JA. "Influence of funding activity as A component of Sanitation financing program on community Livelihood in urban informal settlement of Obunga, Kisumu county, Kenya." European Journal of Education Studies. 2018;5(1). Ochieng S. O; Rambo, C.M and Osogo JA. "Influence Of Human Capacity for Monitoring And Evaluation Systems on Provision of Health Care Services In Public Health Institutions in Migori County, Kenya." Journal of Business and Management. 2018;20(8). Soy JC, Kalai JM. "Influence of Principals Management Practices on Students’ Adherence to Safety Standards in Public Secondary Schools in Kikuyu Sub-county, Kenya." Journal of Education and Practice. 2018;5(2):147-157. Ekabu, P.K. KNJM & G. "Influence of promotional prospects on turnover intention of public secondary school teachers in Meru County, Kenya ." European Scientific Journal European Scientific Journal. 2018;14(25):17-36. Irungu JGRM & K. "Influence of Quality Service Delivery on Performance of Pharmaceutical Retail Businesses in Nairobi City County, Kenya." Kenya. International Journal of Social Science and Business . 2018;3(1). Kahigi CM. "Influence of Religious Institutions as a Source of Sexual Information on Secondary School Students’ Sexual Behaviour." International Journal of Creative Research. 2018. Asiago, D. KGJM & L. "Influence of School Financial Resources on Student Academic Achievement in Kenya Certificate of Secondary Education Examination (KCSE) in Public Secondary Schools in Kenya." Journal of Education and Practice . 2018;9(32):110-113. Physics is one of the science subjects offered in Kenyan secondary schools. Several methods are employed by the teachers in teaching physics. Project method has been cited as a key method because it is leaner-centered and very effective in enabling learners to acquire scientific knowledge and skills. The choice and use of project method is determined by several factors like nature of content to be learned, availability of teaching resources, time available for teaching, learner and teacher characteristics among others. The purpose of this study was to determine the relationship between teacher’s characteristics and the level of usage of project method in the teaching of physics. Stratified random sampling was used to select 84 teachers from the former eight provinces of the Republic of Kenya. Data relating to teacher characteristics and their level usage of project method was collected using a questionnaire. SPSS computer package was used to analyze the data. Level of usage of project method was determined by analyzing the mean score from the responses given by the teachers on the frequency of using the method. Hypotheses were tested at 95% level of confidence. Relationship between teacher characteristics and level of usage of project method was analyzed using Chi square. The key findings of the study were that teachers with pedagogical skills have high level of use of project method in teaching physics than those without, whereas age and gender did not influence level of use of the method. In view of the findings, the researcher recommends that physics be taught by qualified teachers with pedagogical skills and frequent in-servicing of physics teachers to be undertaken irrespective of their age and gender. Muriithi EM, Mulwa PK. "Influence of teacher characteristics in use of project method in teaching physics in Kenyan secondary schools." International Journal of Innovative Research and development (IJIRD. 2018;7(3):129-134. Riungu, W.K. BDM. "Influence of teaching and learning resources on enrolment of early childhood education in Imenti North Sub-county ." International Journal of Innovative Research and Knowledge. 2018;3(10):144-155. Mbusa HK, Ngugi K, Olubayo FM, Kivuva BM, Muthomi JW, Nzuve FM. "The Inheritance of Yield Components and Beta Carotene Content in Sweet Potato." Journal of Agricultural Science. 2018;10(2):71-81. Muthomi JW, Wafula GO, Nderitu JH, Chemining’wa GN. "Integration of Seed Dressing, Bio-pesticides and Intercropping to Reduce Pesticide Use in Snap Bean Production." International Journal of Agricultural Sciences and Natural Resources. 2018;5(1):12-20. C.K. K, J.A. O, Mbaria J.M., S.G. KIAMA. "International Journal of Medicinal Plants Antifertility and anti-implantation potential of Croton menyharthii and Uvariodendron kirkii aqueous extract in female winstar rats (1).". 2018. Karibe Wilson, Kunyanga Catherine IJ. "Isolation and Characterization of Probiotic Microorganisms from the Bovine Tripe." Asian Journal of Microbiology and Biotechnology. 2018;3(2):58-65. "James Wanjohi Muthomi,Geoffrey Ongoya Wafula, John Huria Nderitu, George Ndiema Chemining’wa (2018). Integration of Seed Dressing, Bio-pesticides and Intercropping to Reduce Pesticide Usein Snap Bean Production( 2018). International .". 2018. Mweri JG. "Kenya Sign Language (KSL) Phonology: Articulatory Properties and Phonological Processes." Linguistics and Literature Studies. 2018;6(4):69-182. Muchene K, Mageto I, Cheptum J. "Knowledge and Attitude on Obstetric Effects of Female Genital Mutilation among Maasai Women in Maternity Ward at Loitokitok District Hospital, Kenya." Obstetrics and Gynaecology International Journal. 2018. Gecaga W, Mwango G, Mutala T. "Knowledge on ionizing radiation among non-radiologist clinicians at Kenyatta National Hospital- Kenya." East African Medical Journal. 2018;95(1):1108-1115. SWALEH AMIRI. Kosa la Nani? Na Hadithi Nyingine . Nairobi: Vide-Muwa; 2018. Kimeu M. "The Learning Resource Centre: Green building design in Nairobi”." Africa Habitat Review Journa. 2018;Volume 12 (Issue 12):ISSN: 2519-7851.
than that of the northern areas. The results of this study are expected to support sustainable pastoralism system prevalent with the local communities in the ASALs. Ondiba IM, Oyieke FA, Ong’amo GO, Olumula MM, Nyamongo IK, Estambale BBA. "Malaria vector abundance is associated with house structures in Baringo County, Kenya." PloS one. 2018;13(6):e0198970. C.M R;. "Management Aspects that Influence Effectiveness of the Cash Transfer Programme for Older Persons in Poverty Reduction: The Case of Siaya County, Kenya." European Journal of Business, Economics and Accountancy. 2018;6(6). S P, Simiyu BN, JY S, K T, FI W, KG DL, GES D, LV I. 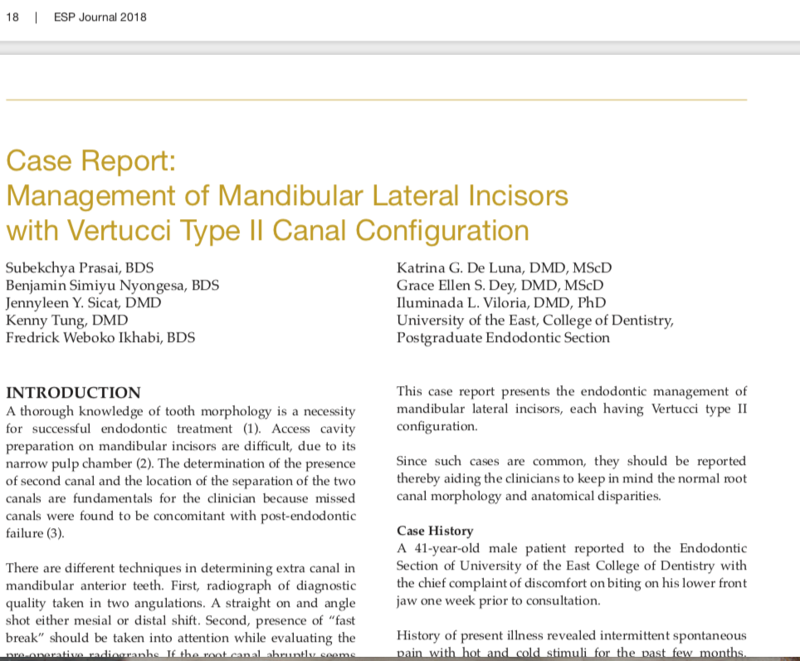 "Management of Mandibular Lateral Incisors with Vertucci Type II Canal Configuration." Journal of the Endodontic Society of the Philippines . 2018;11:19-23. Dr. Laban U. Shihembetsa GKK. "MANAGING FLOODING IN RESIDENTIAL AREAS OF NAIROBI: A CASE STUDY OF SOUTH C." International Journal of Innovative Research and Knowledge (IJIRK). . 2018;Vol-3, (Issue-9, September-2018 ):(27-43). ISSN-2213-1356. Amadi JA, Ong'amo GO, Olago DO, Oriaso SO, Nyamongo IK, Estambale BBA. "Mapping potential Anopheles gambiae s.l. larval distribution using remotely sensed climatic and environmental variables in Baringo, Kenya." Medical and veterinary entomology. 2018. Amadi JA, Ong'amo GO, Olago DO, Oriaso SO, Nyamongo IK, Estambale BB. "Mapping potential Anopheles gambiae sl larvaldistribution using remotely sensed climatic andenvironmental variables in Baringo, Kenya.". 2018.
o	Malonza, J. RART. "Mapping Socio-Cultural Influences in Contemporary Urban Public Open Space. The Case of Biryogo, Kigali City. ." International Journal of Creative Research and Studies,. 2018;2(9-september 2018). Dr. Josephine Malonza PRRPTA&. Mapping Socio-Cultural Influences in Contemporary Urban Public Open Space: The Case of Biryogo, Kigali City. ; 2018. IRIBEMWANGI PI, Obuchi SM. "Masuala Ibuka katika Nadharia ya Sintaksia na Pendekezo la Mwelekeo Mpya.". In: Isimu na Fasihi ya Lugha za Kiafrika. Eldoret: Moi University Press; 2018. Stephen F Omondi, Odee DW, Ongamo GO, Kanya JI, Khasa DP. "Mating patterns of the gum arabic tree (Acacia senegal synonym Senegalia senegal) in two different habitats." New Forests. 2018;49(1):53-65. Ayah R, Ongore D, Agwanda ATO. "Measuring the effectiveness of maternal delivery services: A cross-sectional and qualitative study of perinatal mortality in six primary referral hospitals, Kenya." F1000Research. 2018;732(7). Cham DT, Fombong AT, Ndegwa PN, Irungu LW, Nguku E, Raina SK. "Megaselia scalaris (Diptera: Phoridae), an Opportunist Parasitoid of Honey Bees in Cameroon." African Entomology. 2018;26(1):254-258. IRIBEMWANGI PI, Ndung’u M. "Metaphorical Extension of Kiswahili Tense: An Application of Conceptual Metaphor Theory." Mwanga wa Lugha. 2018;2 (2):55-75.
and Rukwaro DYEPRHW. "Micro-Temperature Change in Relation to Urban Built Form: Use of Isotherm Distribution Maps for Sustainable Development in a Temperature Changing Environment. "; 2018.
and Abok O. Elisha, Okoth W. Michael. KCANOB. "Microbiological Quality and Contamination Level of Water Sources in Isiolo County in Kenya." Journal of Environmental and Public Health. 2018;2018:1-10. Karibe, Wilson G. KCIJNK. "Microbiological Status of Ready to Eat (RTE) Bovine Tripe Rolls under Different Storage Conditions. ." Journal of Food Science and Quality Management;. 2018;78:7-16. IRIBEMWANGI PI, Lokidor EE, Obuchi SM. "Mifanyiko ya Kimofolojia ya Kosonanti za Nomino Mkopo za Kiturkana kutoka Kiswahili." Mwanga wa Lugha. 2018;2 (1):45-55.